The Strategic Content Alliance (SCA) is a unique partnership between JISC, Arts Council England, the British Library, the BBC, Heritage Lottery Fund and the Wellcome Library. It fosters digital content innovation and strategic alignment across sectors and organisations, providing tools, guidance and evidence-based research to help apply best practice in the creation and management of digital content. The SCA is working to achieve a single aim: to reduce the barriers that currently inhibit access, use and re-use of digital content so that users can gain best value from public investment. 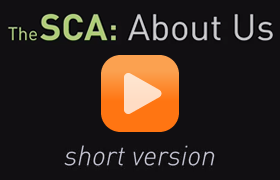 The SCA is dedicated to fostering collaboration, inspiring innovation and informing policy.